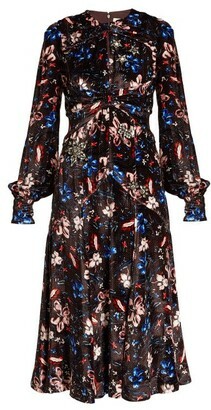 Erdem's Nia gown is cut from black and multicolored floral jersey. Known for his feminine aesthetic, the British designer styles the figure-skimming silhouette with a daring front keyhole anchored by a twist. Twisted mock turtleneck. Front keyhole. 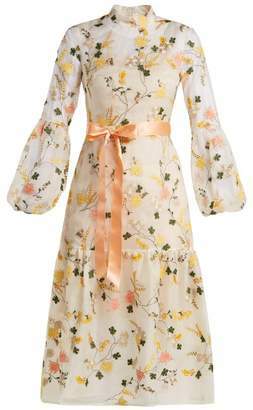 Three-quarter-length sleeves. 63.5 from shoulder to hem (approximately). Concealed back zip closure. Button-and-loop closure at back neck. Available in Black/Multi. 94% viscose, 6% elastane. Dry clean. Made in Portugal. Our model is 5'10"/178cm and wearing a size 8 UK. 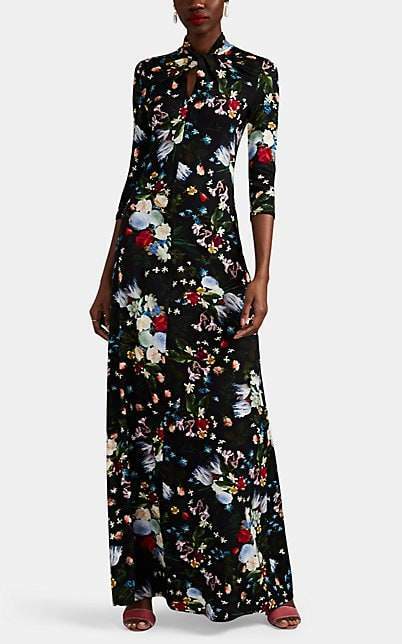 Erdem Women's Nia Floral Jersey Gown - Black Multi Size 12 UK A great designer gift. 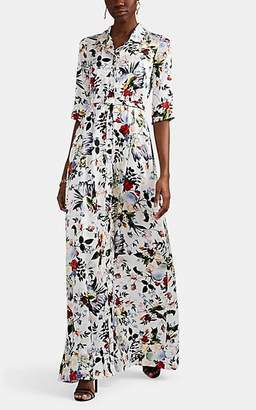 Shop Erdem at Barneys New York.